It’s hard to get away from style and glamour in Mumbai, with its Bollywood culture and larger than life film and television personalities. Everyday life in Mumbai is all about the newest trends and tried and tested fashion accessories. Talking about fashion accessories, it is important that we do not miss out on the age old art of mehndi application which is both a prized work of art and a fashion accessory. Top 10 Mehndi Artists in Mumbai – Choose your Best Mehndi Artist in Mumbai? Fifteen years of experience makes Pawan Arts one of the stalwarts in mehndi art in the city of Mumbai and it’s just not experience alone but also pure merit and expertise in this art field. Specializing in Indian, Arabic and Mughal styles of art, Pawan art works have also ventured successfully into more contemporary henna tattooing and cut work. Turn to Pawan Arts for experience and innovation and you won’t regret it. In the profession of mehndi art for over twenty years now, Geeta has mastered skills to show for every year she has been in the business. A true professional in every sense, check out Geeta’s portfolio on her website to know more about how she can best match your design preferences. Founded in 1990, Shreyansi Bridal Studio owned and founded by Shreyansi is an impressive and flourishing bridal mehndi business and the credit goes to Shreyansi’s professionalism and true artistic skills. With more than a decade’s experience in the art of henna application, Jayshree is an award winning mehndi artist popular across Mumbai for her work at weddings and other festivals. For her impressive portfolio that is worth a close look, refer to her website listed below. Winner of many awards for mehndi design and innovation, Jyoti is a well known name amongst mehndi artists in Mumbai. With excellent client satisfaction ratings, Jyoti is not only safe but also a great option to go to for bridal or festival mehndi art. With Fifteen years of experience, Rahul has skills in mehndi art only a master can boast of. 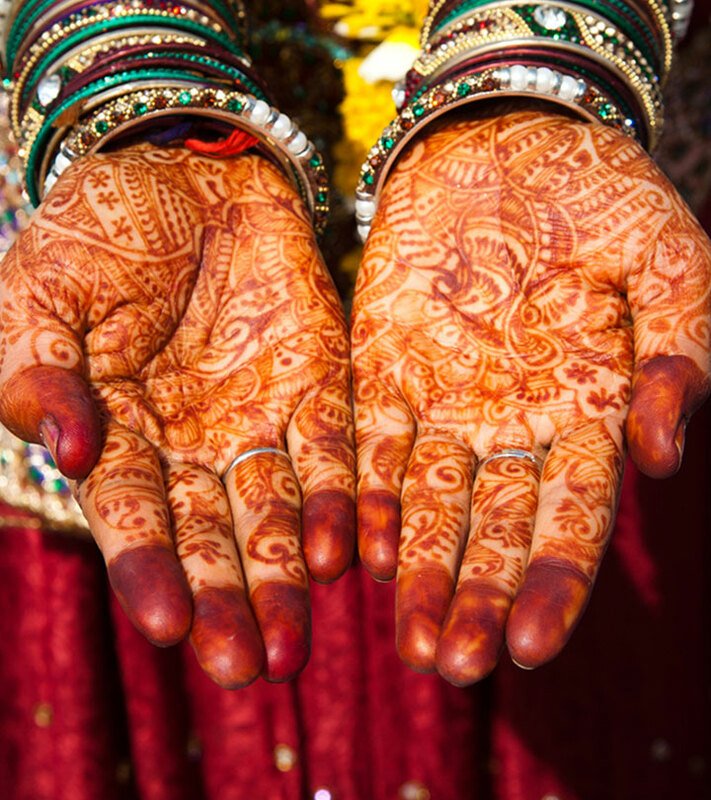 Well versed in various techniques of contemporary and traditional henna art, Rahul’s modern approach to henna design also makes him a good choice for temporary henna tattoos for private parties and events. With a long list of achievements and awards to her name Bindu Shah is a tried and tested artist in the field of mehndi art. Though well experienced in this complex art, Bindu Shah constantly upgrades her skills by studying new techniques and design. Owned and run by mehndi artist duo: Nilesh and Rakesh Ruparelia, Asha Sai Mehndi is known across Mumbai for its excellent artwork in many different forms of henna application. Nirmala is a trusted name in Mumbai at wedding and festivals for her mehndi art work. A point worth mentioning is Nirmala’s god given talent to execute beautiful religious motifs and portraits with henna. A brilliant mehndi artist Mumbai to end this list with, Kamaljeet is well known for the intricate motifs that adorn his art. 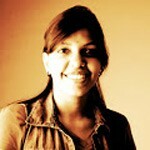 Affordable and effective, check out Kamaljeet’s website to go through his impressive portfolio. So these are the top 10 mehndi artists in Mumbai. 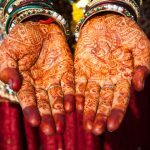 To get the unique and elegant mehndi designs, do approach them to make your special day even more special. Stay stylish, stay gorgeous!